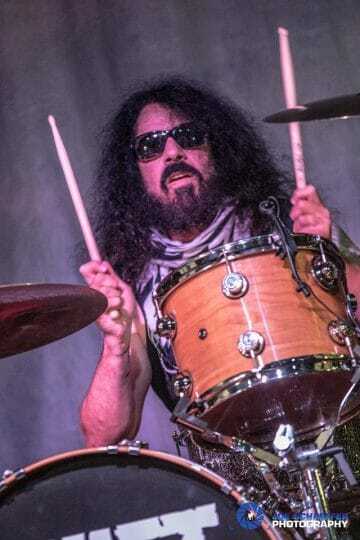 WHEN THE CHANCE TO INTERVIEW QUIET RIOT DRUMMER FRANKIE BANALI RECENTLY CAME MY WAY, I IMMEDIATELY JUMPED AT THE CHANCE. QUIET RIOT WAS ONE OF THOSE BANDS THAT I HAD FIRST DISCOVERED IN MY ADOLESCENT YEARS. THIS WAS A TIME WHEN I WAS DISCOVERING WHO I WAS AND WHO I WOULD BECOME. IF IT HAD NOT BEEN FOR BANDS LIKE QUIET RIOT, POSSIBLY MY WHOLE OUTLOOK ON LIFE MAY HAVE TURNED OUT DIFFERENTLY. I AM GRATEFUL FOR THE FACT THAT I GREW UP WHEN I DID. SOMETIMES I SIT BACK, LOOK AT THE KIDS TODAY AND THINK OF HOW THEY WERE ROBBED. SURE THEY HAVE ALL THE TECHNOLOGY AT THEIR HANDS. THEY CAN DOWNLOAD MULTIPLE SONGS IN SECONDS. GREAT… BUT THAT’S WHY THEY DON’T APPRECIATE WHAT THEY ARE TRULY RECEIVING. THE MUSIC IS DISPOSABLE. WE, WHO GREW UP IN THE ’70S, ’80S AND THE BEGINNING OF THE ’90S MAY BE THE LAST GENERATION THAT WILL EMBRACE THE MUSIC AND TRULY APPRECIATE EVERY SINGLE NOTE THAT IS COMING FROM THAT GENTLY PLACED NEEDLE. ALL AND ALL, THIS WAS A THRILL FOR ME TO INTERVIEW FRANKIE BANALI. IT HELPED ME TO REMIND MYSELF HOW GREAT LIFE WAS BACK IN THE ’80S AND THE FANTASTIC MUSIC THAT CAME WITH IT. THE FUNNY THING ABOUT IT IS THIS — THERE ARE THOSE THAT JOKE ABOUT THE HAIR, THE MAKEUP, THE CLOTHES, BUT WHEN A SONG COMES ON THE RADIO, THEY ARE THE FIRST TO SING ALONG. TO ME, THAT’S A LEGACY THAT WILL LIVE ON FOREVER AND FRANKIE BANALI WAS PART OF IT. Sleaze Roxx: Frankie it is a pleasure to speak with you. I have been a fan since the ’80s. 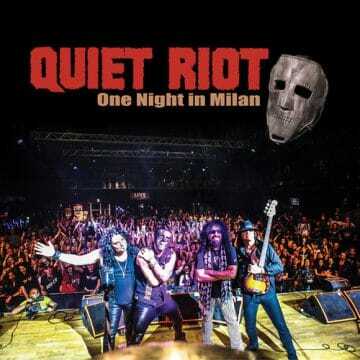 I want to start by talking about Quiet Riot’s latest release ‘One Night In Milan.’ I have watched the video of the show and I have to say I was blown away by the performance. What really took me by surprise was singer James Durbin’s performance. After watching the Quiet Riot movie, it was obvious there were issues with singers in the past. I think James is the perfect fit to pay tribute to Kevin Dubrow’s work. Would you agree with that statement? It seems he has embraced the job very well. Frankie Banali: It was very hard to get somebody to do what Kevin could do because he was so unique. In order for somebody to do justice, to both Kevin and Quiet Riot, they would have to have a range similar to the range Kevin had — which was an amazing range. They also need to be comfortable on stage and be a great performer which James is. So I could not agree with you more. Since Kevin’s passing, this is the closest we’ve come to being able to really do it to the way I had hoped we could do it. Sleaze Roxx: He totally nails it. I was watching some of the concert and saying to myself — “Wow” — which takes me to my next question. He makes it very believable and authentic. On the ‘Road Rage’ album, he sounds like himself, but when he does the Kevin stuff, or the classic Quiet Riot material, he sounds very close to Kevin. When he was hired for the gig, did you have a certain expectation in regards to his work ethic and how he would front the band such as stage presence, crowd appeal and vocal delivery. I recall in the movie, and I believe it was Mark Huff — I think he forgot the lyrics? What I’m getting at is the fact of James’ professionalism and of course your professionalism to give the audience what Kevin would have given. I have a total respect for that. Frankie Banali: Well, James was very much aware because we had conversations and discussions about the things that were not right and did not work out with the previous singers. And why they were not here and all of a sudden, he found himself in Quiet Riot. He clearly understood that there was a certain criteria and a certain level that he had to be met because it’s my responsibility if I’m going to bring the music of Quiet Riot to long time fans and to new fans. I have a responsibility to make it sound the best it possibly can and to look like Quiet Riot. I have to have that level of performance. So he knew that whatever it was that he was doing before, this was going to be a completely different thing. He embraced it and he has excelled. 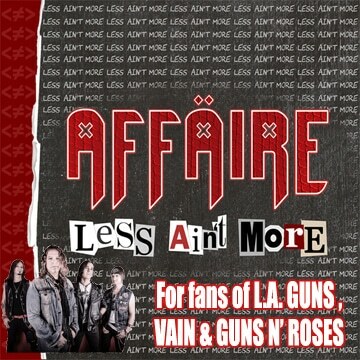 Sleaze Roxx: I was kind of surprised in the promotional package that I received from Frontiers Records. It read that “Thunderbird” had never been played live before until the performance in Milan. Is that correct? Frankie Banali: No. That’s incorrect. Sometimes you lose something in translation between Italy and the United States. “Thunderbird” has been a staple of the Quiet Riot set since the time that Randy [Rhoads] passed away. The difference is that when we recorded it in 1982, the studio version has a piano intro and piano all the way through the song. We have never performed it live in that format. So fully knowing that we were going to be recording in Italy and I already had a relationship with producer/musician Alessandro Delvechio, who produced the record, I asked him if he would be interested in doing this one time only situation where he would play the piano. He was very humbled and very honored to do so. He did a fantastic job. It’s clearly not the first time we played because if you YouTube Quiet Riot “Thunderbird” live, it’s gonna pop up like a rash on a babies bottom. Subscribe To Be Alerted When We Add New Videos – http://radi.al/SubscribeFrontiers | From the album “One Night In Milan”. Get your copy NOW: http://radi.al/OneNightInMilan Follow the “Newest From Frontiers” playlist on Spotify to keep up with all the new songs we release each week: http://spoti.fi/1rQz5Zm Quiet Riot’s performance at Frontiers Rock Festival 2018 marked the band’s first-ever concert in Italy and what a hell of a show it was! Sleaze Roxx: I have the DVD with Kevin, Rudy Sarzo and Carlos Cavazo. So I’m pretty sure it’s on there right? Frankie Banali: Oh yeah, absolutely. This is the song that we play most every night. The only times it hasn’t been included in the set is if there are time restrictions where we’re playing a multi-act bill. Then you have 25 to 45 minutes and you have to decide what you’re going to be able to keep in the set. By and large, it’s played at almost single every Quiet Riot show. Sleaze Roxx: I really enjoyed the fact that the band performed “Terrified” from the album of the same name. 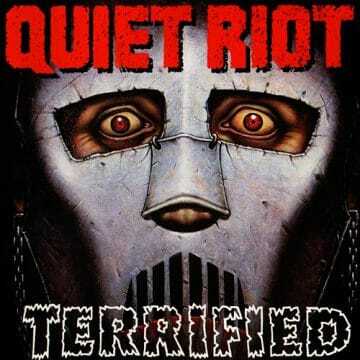 That is actually one of my favorite Quiet Riot albums. When going about the setlist, of course you’re going to play the hits, but other than that, how do you choose the material as there is so much to choose from? Sleaze Roxx: In terms of the albums themselves, with the vast Quiet Riot catalog, is there one that is your favorite? show recorded was that I was not asked to go in the studio and fix anything. So everything that you are hearing on that live recording and DVD is exactly as it happened. There’s no replaced guitar solos, there’s no added rhythm guitars, there’s no lead vocals, there’s no background vocals that didn’t exist. Everything is exactly as it was with no studio overdubs whatsoever. Sleaze Roxx: Wow, that’s impressive. So many bands do that right? 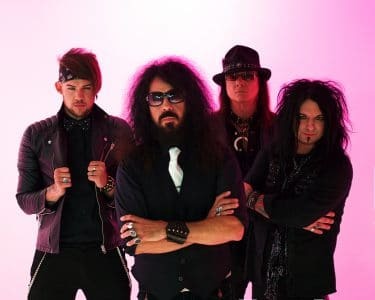 Frankie Banali: Yeah, but by definition, if you’re calling something a live record and you went into the studio and changed anything at all, even one note, by definition, it is no longer a live record. Sleaze Roxx: Yeah, I totally agree with you. You look at something like KISS’ ‘Alive’ for instance, apparently that’s totally doctored. So you’re right. How is that really a live record? It might as well have just been a greatest hits record. 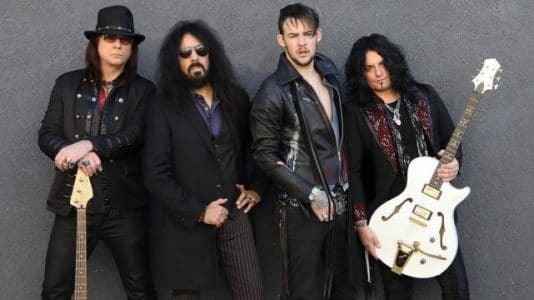 Frankie Banali: Well, that’s how much confidence I have in both myself and the guys I work with — Chuck [Wright], Alex [Grossi] and James [Durbin]. Sleaze Roxx: They’re all great players. I wanted to ask you about — I was just listening to ‘QR III’ on vinyl before we spoke. The track “The Wild And The Young” — the drum intro that you recorded — I’ve always loved it. Sonically, the sound is amazing. Do you remember much about recording the drum parts on that song? Frankie Banali: Yeah, I remember all of it. A couple things about it is the song originally didn’t have the drum intro. It originally had a different intro. It was even a different title. A different lyric. It went through a lot of changes, but the night that we were going to go into record, I wanted to record the drums for that song a little different way. Instead of using traditional toms with the bottom head, I used concert toms because it’s a much more direct hit. Then the engineer, Duane Baron and myself, went out and got some shotgun mikes which you set up at a distance but you have to aim it exactly at the point where you’re going to hit the drum head, which is one of the reasons it has that particular sound to it. Then that staggered intro was just something that I worked out in the studio. Most of it was unplanned — literally minutes before we sat down and turned the tape on. Sleaze Roxx: Really? That’s amazing. It’s such a cool part. I was only 12 years old when that song came out. 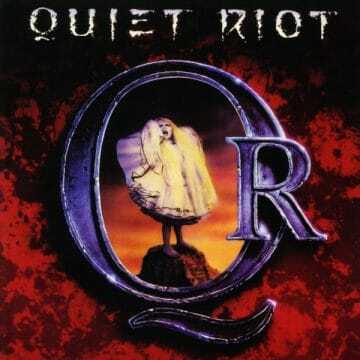 That was the first Quiet Riot album I bought because like I said, I was only 12 years old. Sleaze Roxx: So it was ‘I’ve got to go get that new Quiet Riot.’ I saw the video up here on Much Music. It was just so cool. That’s a big memory of Quiet Riot for me. Frankie Banali: Oh yeah, I get it. It’s one of my favorite songs also. Sleaze Roxx: I was also listening to “Twilight Hotel” on the vinyl. There’s just so much going on the vinyl. It really resonates. It sounds amazing. Frankie Banali: Yeah, vinyl is just a whole different animal than any other median. That’s why I have over 3,500 pieces of vinyl in my collection [laughs]. Sleaze Roxx: Wow! I’m about 300 or 400. So you’ve got me way beat. Frankie Banali: Yep, I’m a big music fan. Sleaze Roxx: The Quiet Riot ‘self-titled’ album with Paul Shortino — is that the only one that’s been reissued on vinyl? It’s available from Europe? Frankie Banali: Umm… There’s other ones that are re-released that are available on vinyl that have come out of Europe. Quite a few of them. Sleaze Roxx: When I punched it up on Amazon, that was pretty much the only one I got. I know ‘Road Rage’ was available, but I couldn’t get a hold of the others. Frankie Banali: I think Rock Candy [Records] may have been the one that did the license with Sony to put that one out. I can’t say for sure, but I think that might have been who released it. Sleaze Roxx: Has Quiet Riot ever discussed the possibility of doing any those songs live? Frankie Banali: No, because that was a different version of the band. I think it’s a great record. I’ve always thought it was a great record, but at the same time the sound of the record and the writing compounded with the vocals. I think that has more to do with Whitesnake of that era than it did [with] Quiet Riot. As a matter of fact, I wanted to have a distinction between that album and the Quiet Riot record that came before with Kevin singing which is the only reason that [the] ‘QR’ record is the only album that on the cover does not feature the “metal mask.” Every record before and every record after that, has had the “metal mask” but not that one. I felt it was that different of a Quiet Riot record. Sleaze Roxx: I never put that scenario together but that makes sense. Frankie Banali: Again, I’m very proud of the record. It’s a great record. It was just a different type of Quiet Riot record. Sleaze Roxx: The whole Whitesnake thing makes sense. That is so accurate to how I would put it. I mean Whitesnake was huge then. Frankie Banali: Absolutely. Yeah, they were already a huge band. It’s hard because the Whitesnake and the big ‘self-titled’ record came right around the same time as the ‘QR III’ record. They were the hot number at the time. Frankie Banali: And the rest is history! 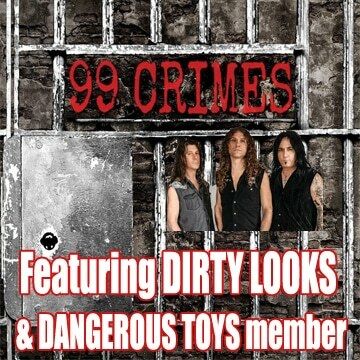 Sleaze Roxx: Paul [Shortino], Carlos [Cavazo] and Sean [McNabb] are doing the Rough Riot thing now. I would think they’re playing a percentage of that album. I assume that you’ve heard they’re doing that? Frankie Banali: Yes, I have heard that. Sleaze Roxx: Before I let you go, I have two more questions — well, actually one question. The other isn’t really a question. Are there plans to do another Quiet Riot studio album? Frankie Banali: Yeah, there’s a real possibility. Myself and my writing partner, Neil Citron, we started working on new songs. It was almost a year ago. So there’s always a possibility. We’ve got the live record, DVD and Blu-Ray coming out January 25th, so we’ll be touring on that. There is a real possibility that there will be another studio Quiet Riot record at some point in the near future. Subscribe To Be Alerted When We Add New Videos – http://radi.al/SubscribeFrontiers / From the album ROAD RAGE. Sleaze Roxx: So before we say goodbye, I wanted to make mention of one thing and I’m not trying to embarrass you, but back in the early 2000s on the tour with Ratt, Cinderella and FireHouse at The Docks in Toronto, I was really close to the front of the stage [thank you John Corabi]. At the end of the show, there was a young man in a wheelchair who was right near me. What stood out to me was the fact that you walked over to him and you gave him your drumsticks. I’ll never forget that. It was an amazing gesture. Every time I think of Frankie Banali, I think of that moment. Frankie Banali: Well, you know when I see somebody in that situation and that position, it always reminds me to count my blessings and how fortunate I am compared to some other people. If there is any small gesture I can do that will maybe make them feel better, or maybe it will be a memory that they’ll have for a long time, I am always happy to do that. Thank you. I appreciate that. 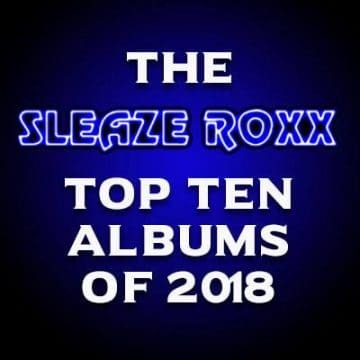 Sleaze Roxx: Thank you so much and the best of luck. 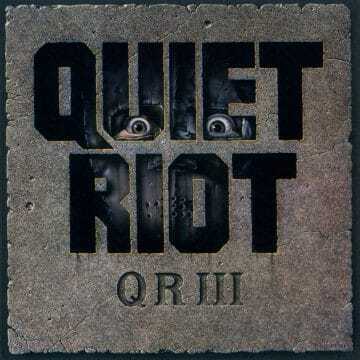 Hopefully, I will be out to see Quiet Riot in the near future. 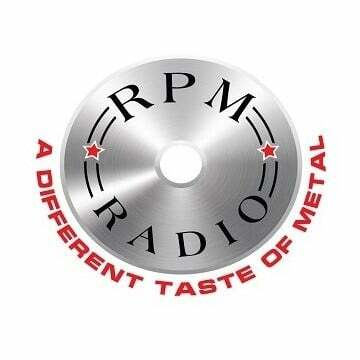 Frankie Banali: Thank you for your time and the interest in Quiet Riot. I truly appreciate it. Sleaze Roxx: No problem. Have a great night! Frankie Banali: You as well. Have a great weekend!